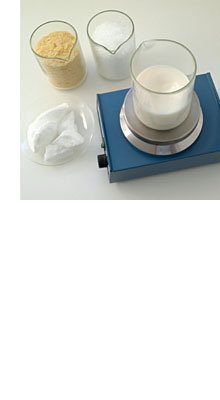 Waxes can easily be emulsified in water for use in water-based systems. Here, the use of a well-suited emulsifier and the right emulsifying technique is required. A selection of different waxes offers the user a choice when creating industrial emulsions, for example, when used as a care and maintenance product, as a citrus fruit coating, for the impregnation of textiles and leather, and as an additive for lacquers, varnishes and colours.